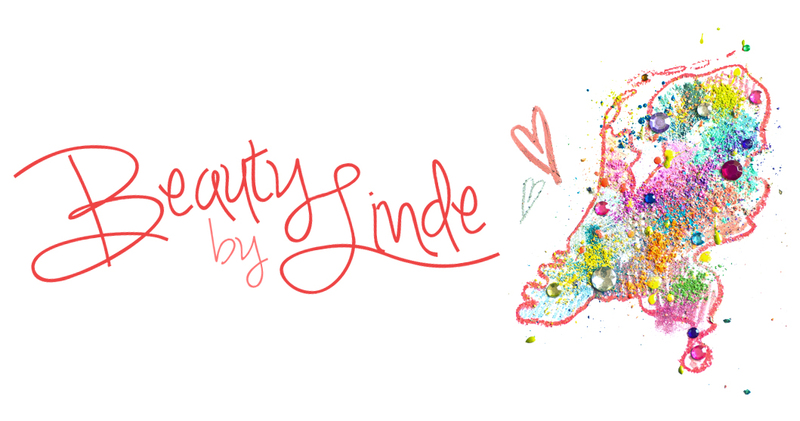 Beauty by Linde: FOTD: Subtle Green/Brown Day-time Look - Photo Tutorial! 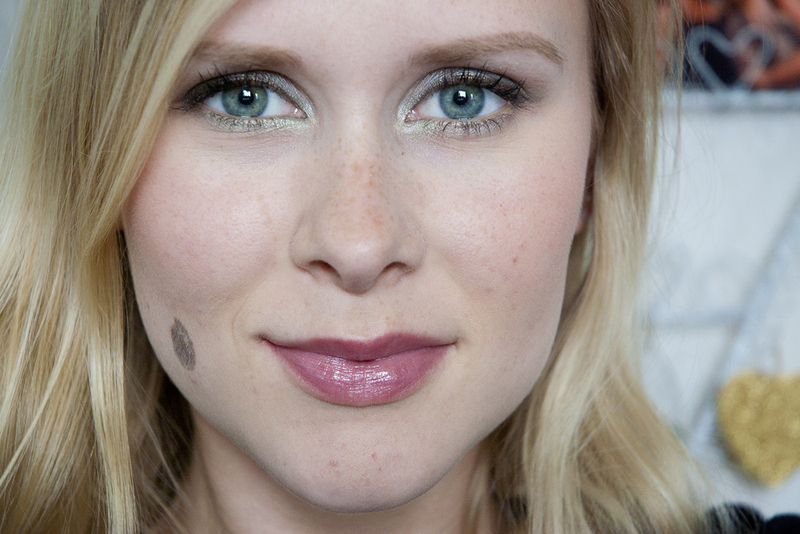 FOTD: Subtle Green/Brown Day-time Look - Photo Tutorial! 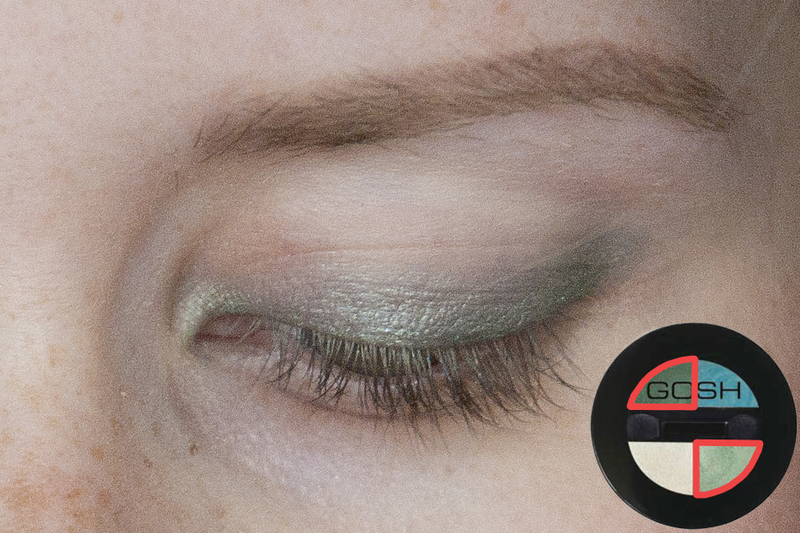 I felt like showing you all how to do this supereasy daytime look using browns and silvery greens. I'm a big fan of the green-ish shadow I'll be using for this, because I feel like it suits my eyecolor perfectly! It's a very wearable look and I think the pop of green gives it just that bit extra. I hope you enjoy! I think there's really no need to explain here. 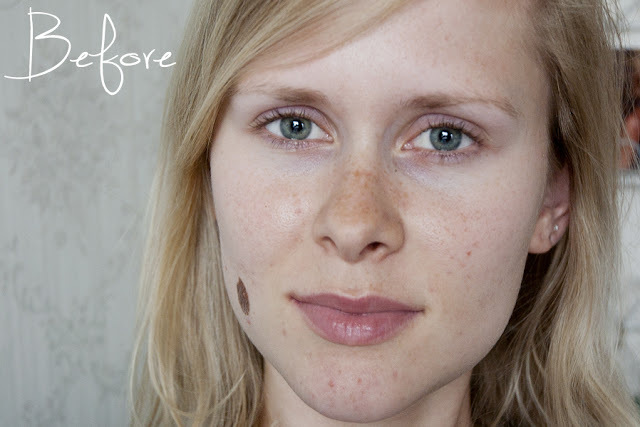 Just make sure there's no makeup residue left on your face and make sure to exfoliate on a regular basis. 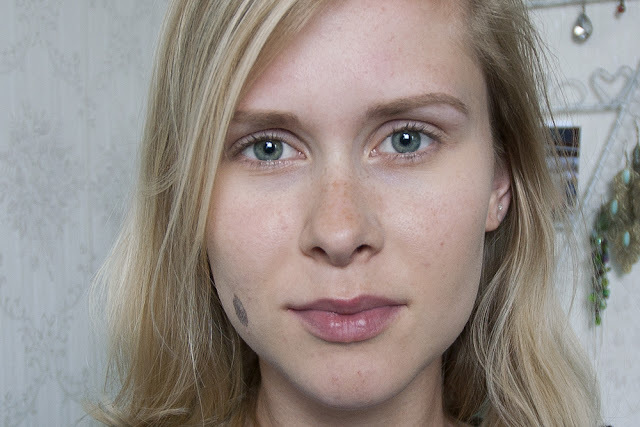 This will make your makeup last longer en look way more fresh! To blend everything into the skin, I like using my fingers or a damp beautyblender sponge, because I feel this gives the most natural finish. In this picture, I actually used miss sporty's (super affordable!) liquid concealer as my foundation. 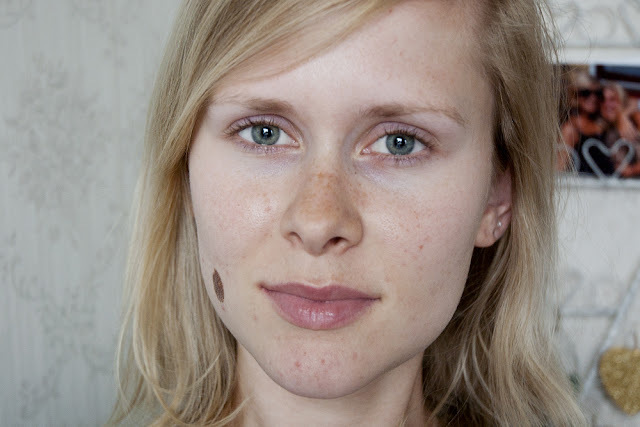 I wouldn't recommend doing this with just any concealer, since concealer usually has a much heavier formula than foundation, and because it's designed to cover up instead of even out. This one, however, does not have a very heavy coverage, and because it's a liquid formula, it won't cake up on you like a cream would, as long as you really take your time to work it into the skin. In my opinion, this step is crucial to anyones makeup routine. Even when you feel like you already have quite full brows, just a tiny bit of brow powder to fill in any small gaps and to perfect the shape, or even some clear brow gel, will make a huge difference. It'll tie any look together. The eyebrow set by Catrice, which contains a light and a dark brow powder, has been my go-to brow product for more than a year now. 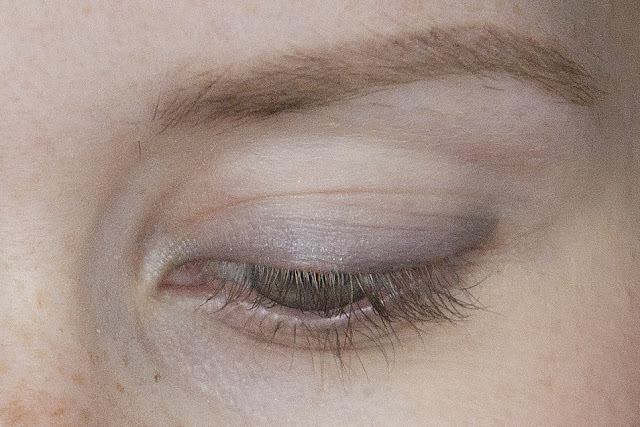 Here, I applied a soft greyish/green eye pencil right along my upper lashline. The one I used is from Sephora and it's called Silver green. The color is way more pretty and unique than you can tell by this picture; it has a stunning silver/green duo-chrome effect to it! I softened the line using a thin synthetic brush (which is actually a paintbrush), but you could also use your fingers if you prefer. This will serve as the base for our eyeshadow. 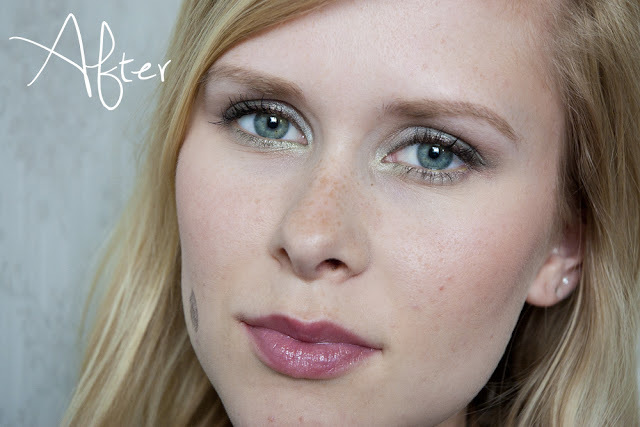 For this step, I used five eyeshadow colors and a metallic brown liquid eyeliner. 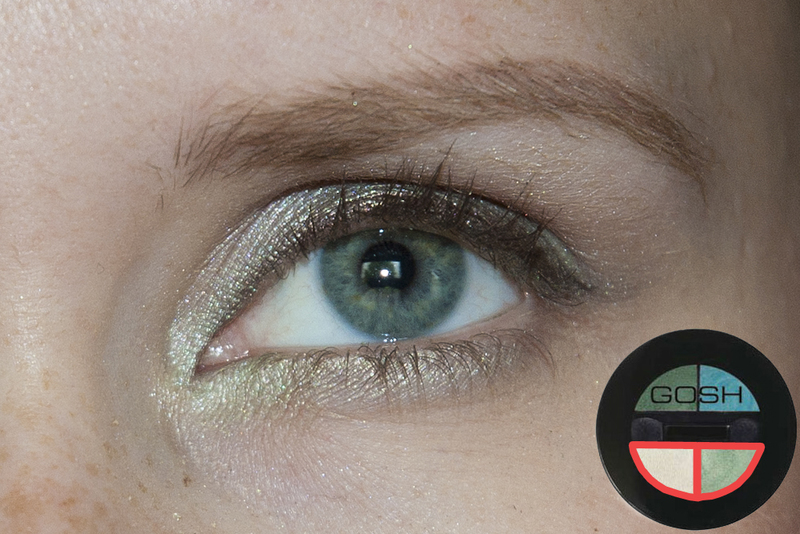 In the first picture, I applied a mixture of the light and the dark green colors from the GOSH Tropical Beach Quattro Eyeshadow Palette over the eye pencil we applied earlier. Then I used the frosty cream color from that same palette on the rest of the moving lid and through the crease, blending it together with the green to create a flawless gradient. I also applied a very light wash of a matte brown shadow (Go, Charlie Brown! 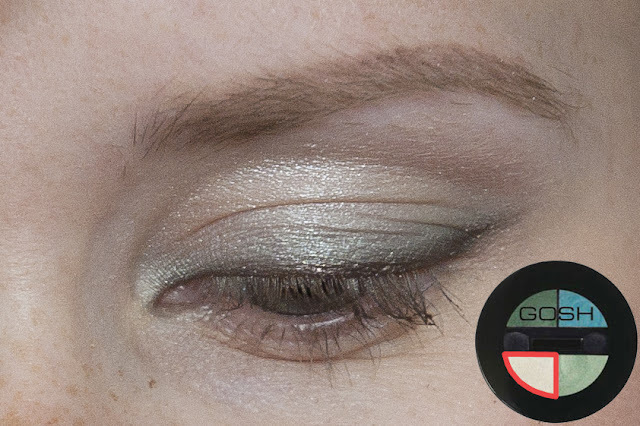 by Catrice) through the crease to give just that extra bit of definition. Next, I used a metallic brown liquid liner from Etos to draw a thin line along my upper lashline and I applied a similar eyeshadow color (the dark brown shadow from the W7 quad I reviewed here) all over and around the line to soften any harsh edges. To finish off, I applied Go, Charlie Brown! 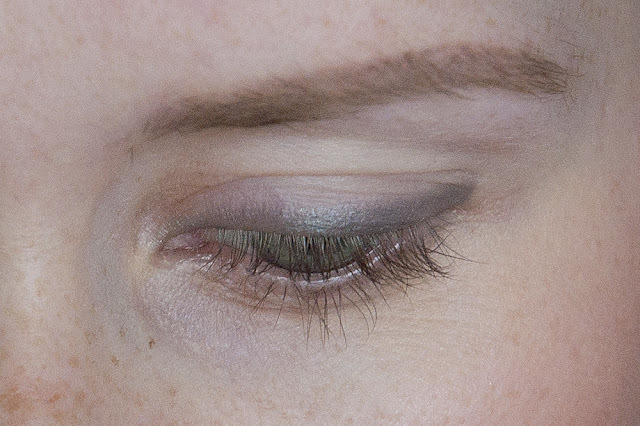 to the outer third of my lower lashline, the light green from the Tropical Beach palette to the center and the frosty white to the inner third. 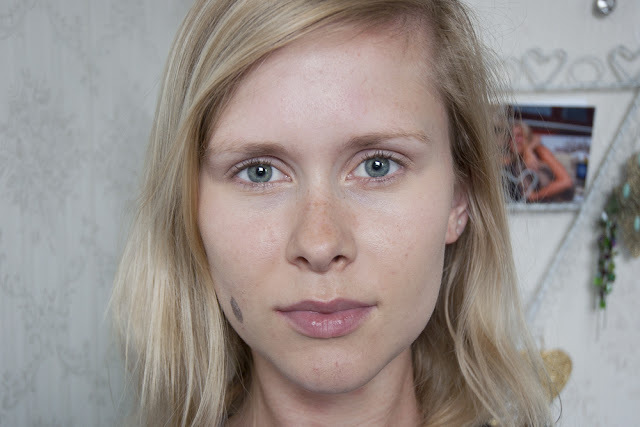 And after applying mascara, your favorite blush and a neutral gloss, it's time for .. I really like looks like this one, with soft, yet defined eyes and a slight pop of color. I hope you enjoyed it too! There's a video tutorial coming up very soon (I already tried to upload it to YT but somehow that didn't succeed), so stay tuned for that! Have a great weekend! Catrice - Single Eyeshadow in Go, Charlie Brown! Staat je heel mooi, ik zelf ben dol op groen op de ogen, ik vind het heel mooi staan bij iedereen, deze combinatie vind ik heel subtiel maar toch helemaal af. De lippenstift past er ook heel mooi bij. I am so sorry, just on auto pilot wrote in dutch, just to be sure you get my message: It looks good on you, I love green eye make-up, I think it suits everybody and this combination I like a lot, subtile but finished to a tee. You lipstick really suits the look. Heb je blog net ontdekt en vind hem super! Wat voor mooie foto`s en looks maak je :D! Vooral deze look vind ik je erg mooi staan! Dankjewel! In zowel de looks als de foto's zitten ook de meeste uren, dus dat is leuk om te horen ^^ En wat het nog leuker maakt om te horen is dat je zelf ook hele mooie foto's op je blog hebt! Ziet er goed uit!